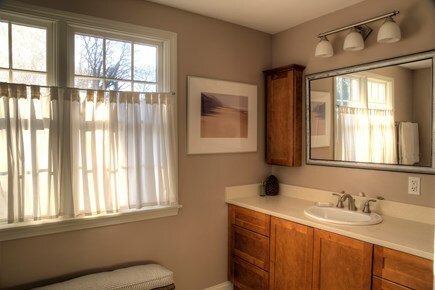 This lovely, five bedroom home has a separated master suite. Unwind alone after a day at the beach. Wine glasses included. 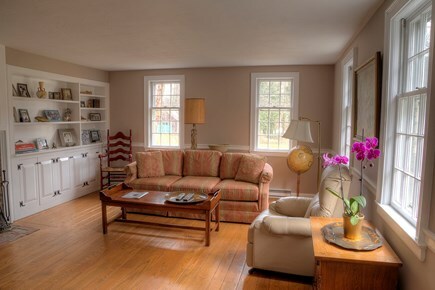 A spacious living room downstairs with a TV for family movies. 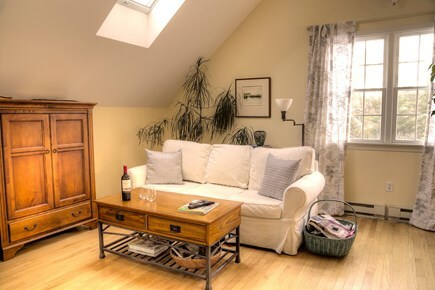 This first floor space connects the kitchen, living and bedrooms. 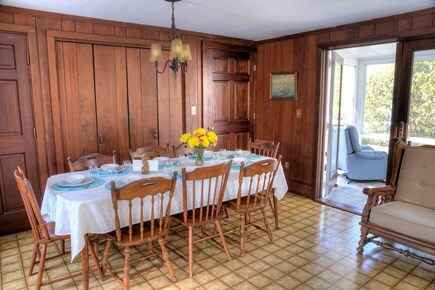 Plenty of room for a family seafood dinner! 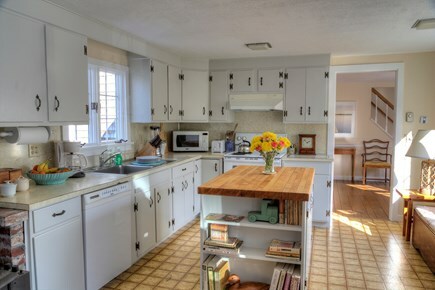 The spacious kitchen is perfect for a large families. 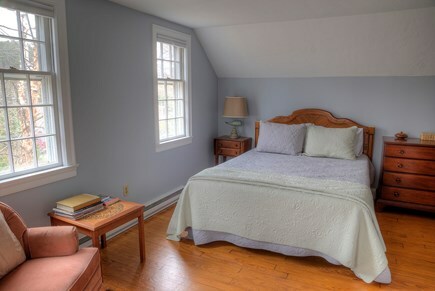 The master suite (bedroom 1/5) features a new queen bed. 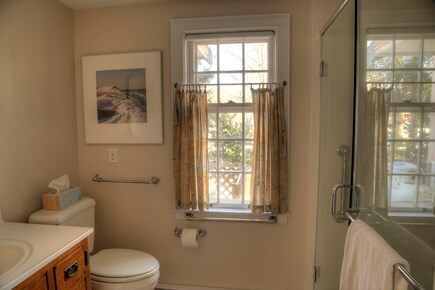 Bathroom 2/3 is upstairs and is a full bath. Bedroom 3/5 is upstairs and has a double bed. Bedroom 4/5, downstairs. Queen bed and lots of beautiful light. 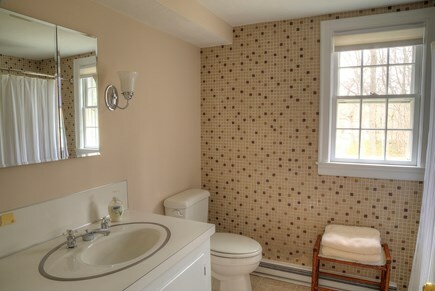 Bathroom 3/3, downstairs. Large, glassed in shower. Bedroom 5/5, downstairs. Two very comfortable twins. This spacious, five bedroom, three full bath home is the perfect vacation spot for an active family. 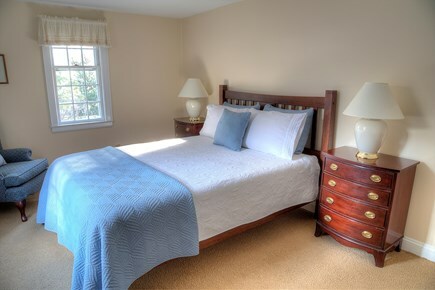 Hotel quality bed linens and bath towels are included with this home. 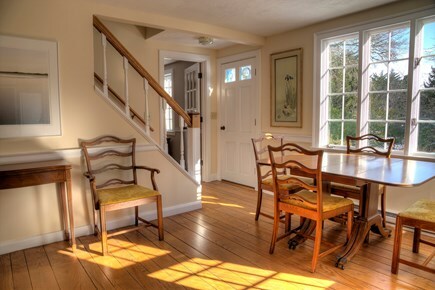 Walkable to the center of Orleans with its restaurants and shopping, this home is also 10 minutes (3 miles) away from Nauset Beach and 5 minutes from Crystal Lake. Love summer baseball? The Orleans Firebirds play at Eldridge Field a short 5 minute walk away. 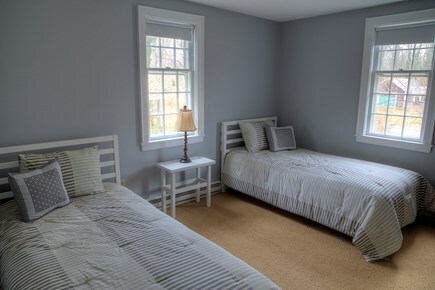 The five bedrooms include 3 queen beds, 1 double/full, and 2 twins, accommodating a total of 9. 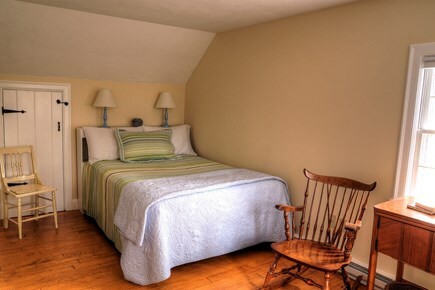 Amenities include a dishwasher, washer/dryer, outdoor grill, cable TV, and fast wifi internet. 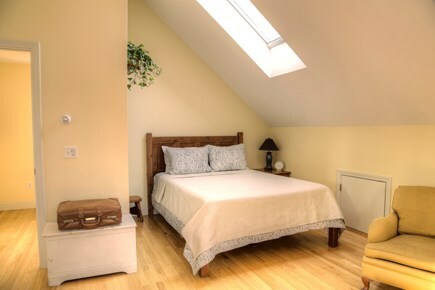 A/C units in every bedroom. 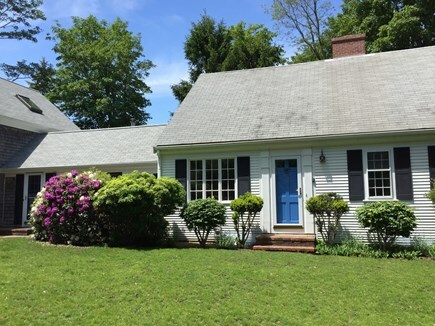 This home is an amazing combination of location and comfort and will be your perfect home base for your Cape Cod summer vacation.